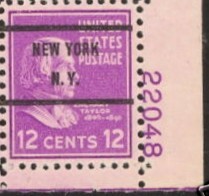 Scott 832, $1 purple, plate number F 22095, wide selvage. 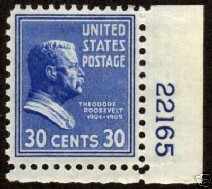 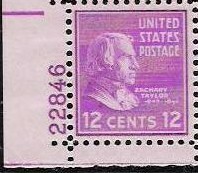 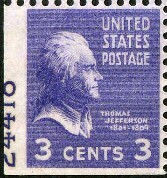 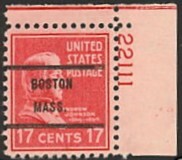 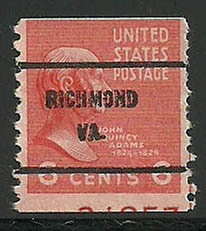 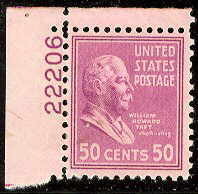 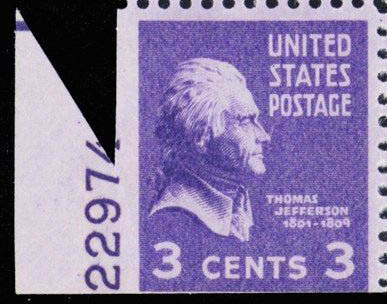 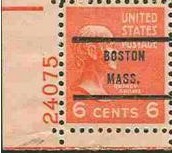 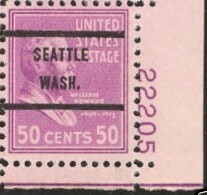 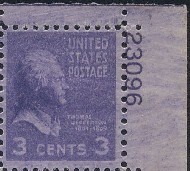 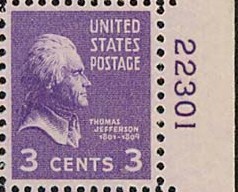 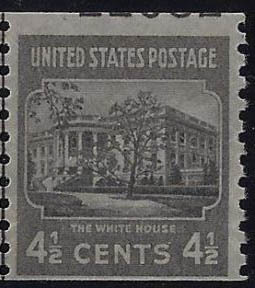 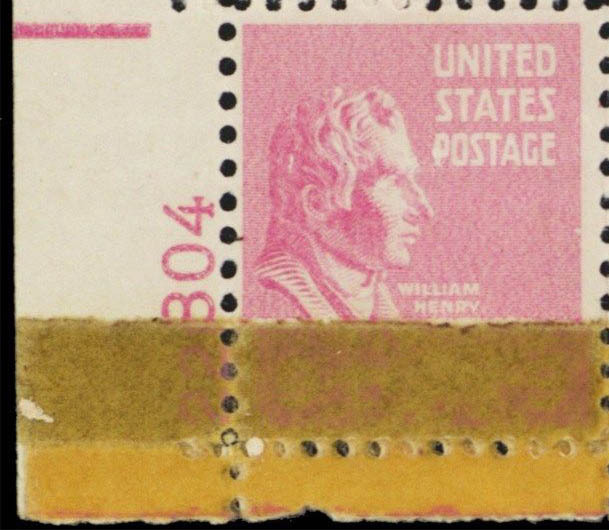 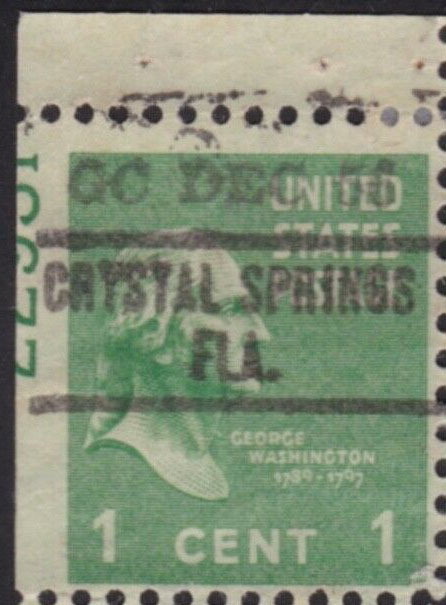 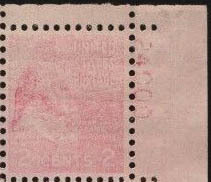 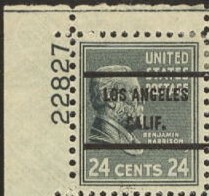 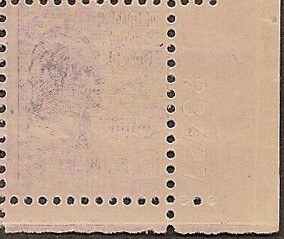 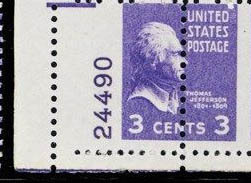 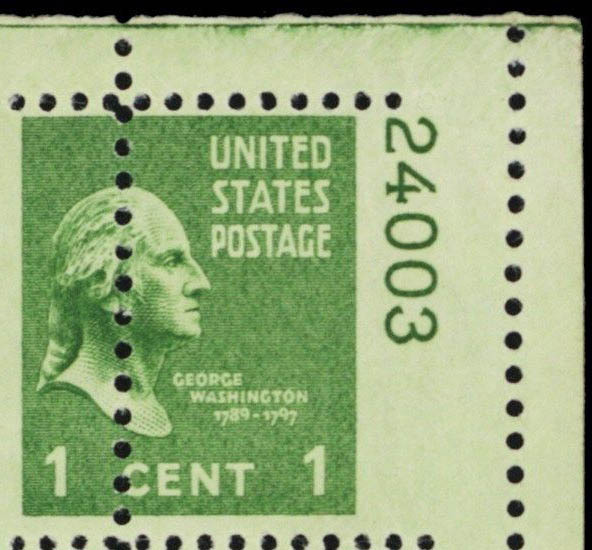 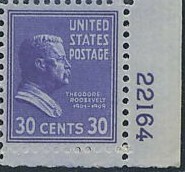 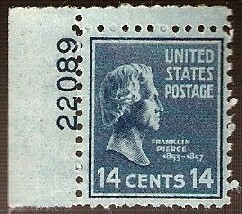 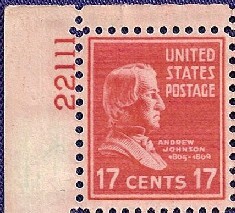 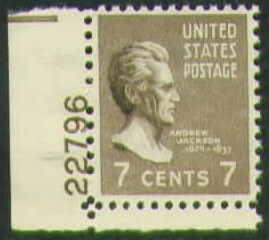 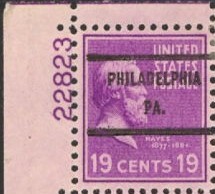 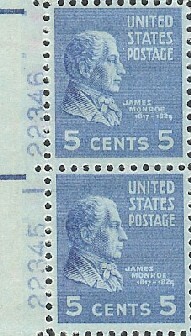 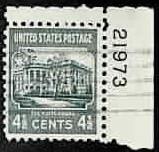 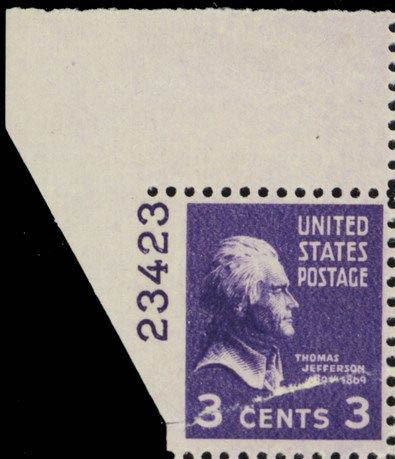 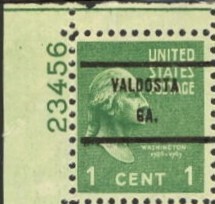 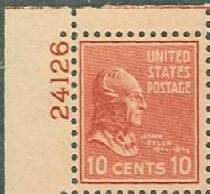 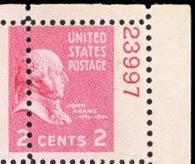 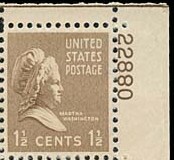 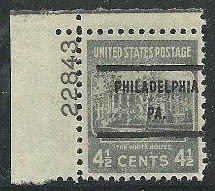 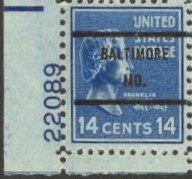 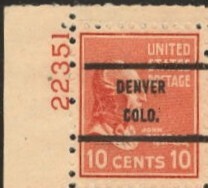 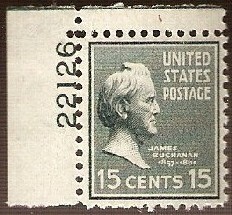 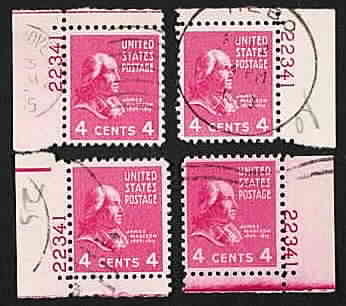 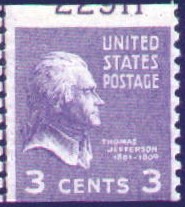 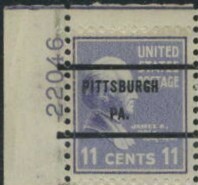 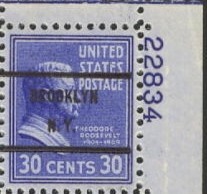 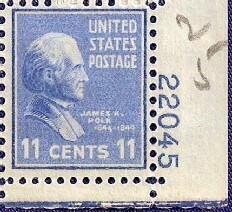 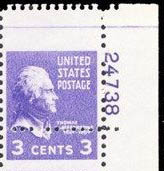 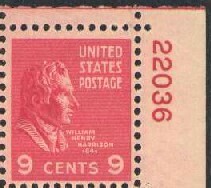 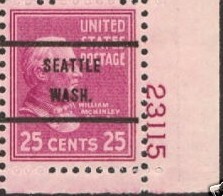 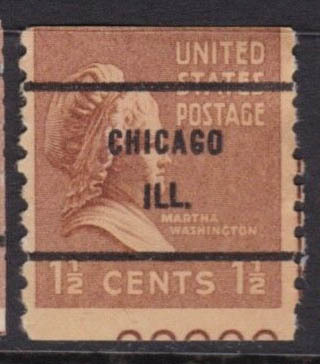 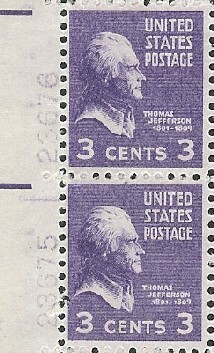 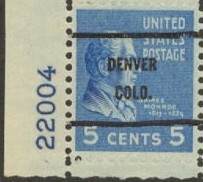 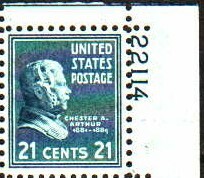 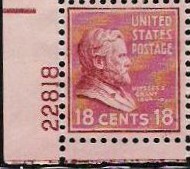 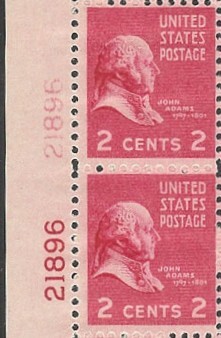 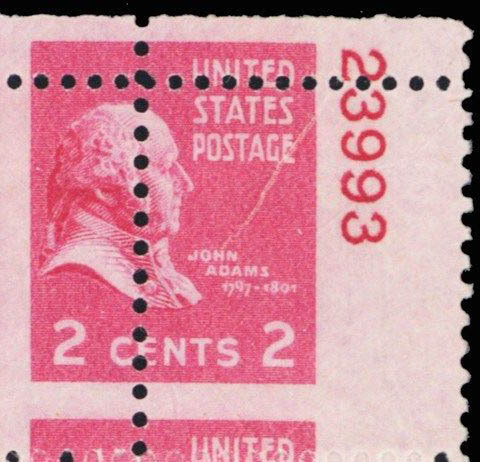 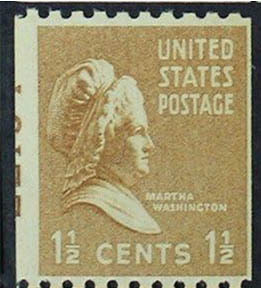 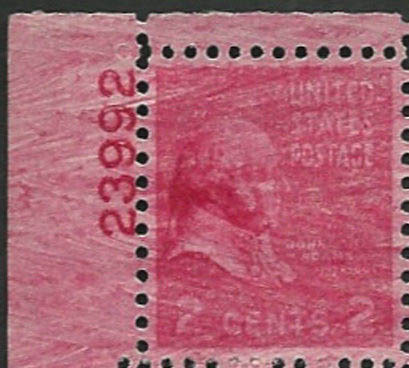 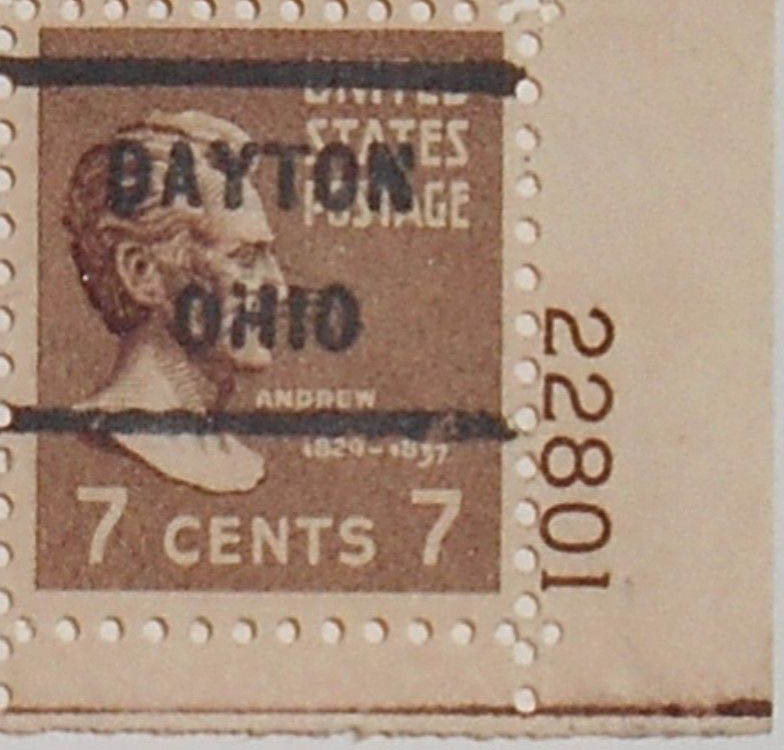 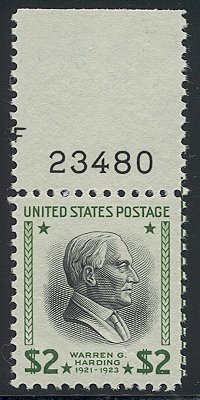 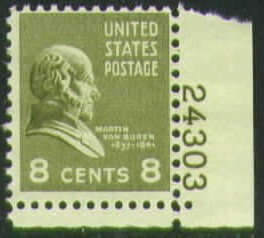 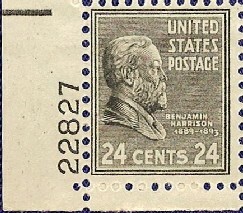 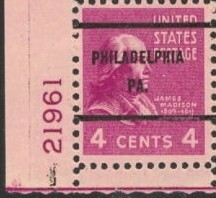 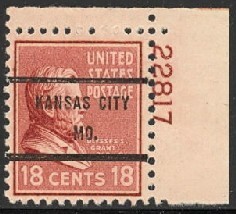 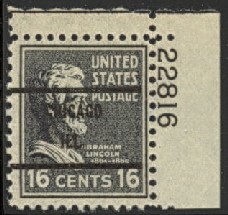 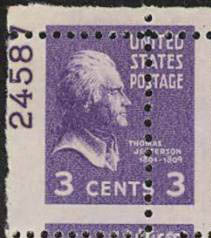 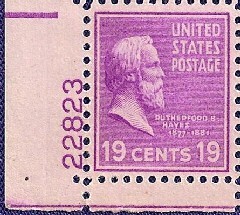 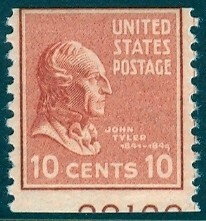 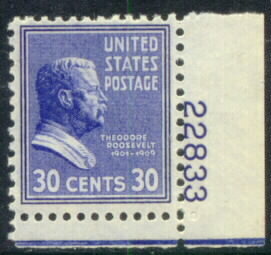 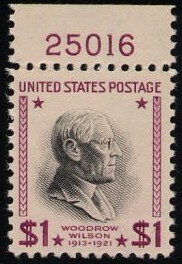 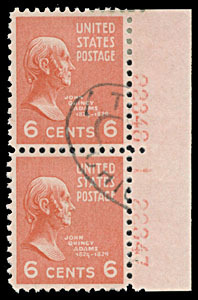 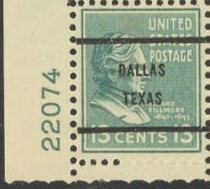 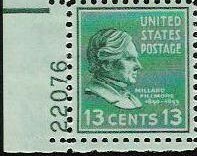 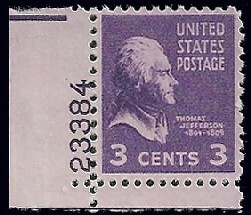 Scott 832 var, $1 purple, listed as "vignette shift" but actually a shifting of the purple frame - the F belongs at the end of the plate number on the stamp to the left. 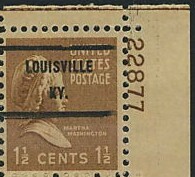 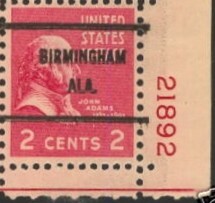 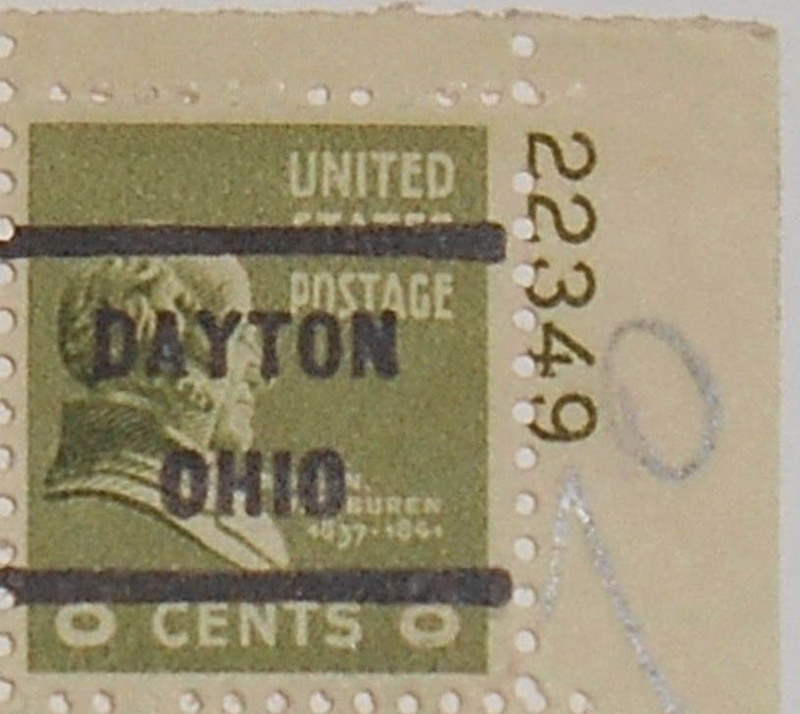 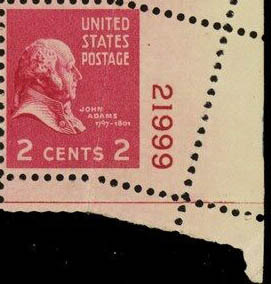 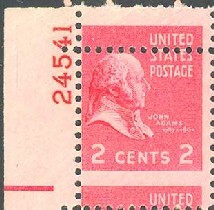 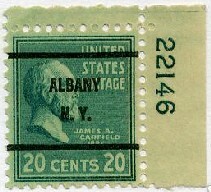 The outline of the watermark letter 'S' can be seen in the selvage. 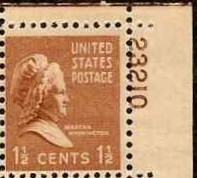 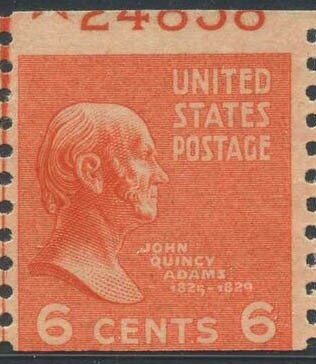 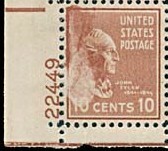 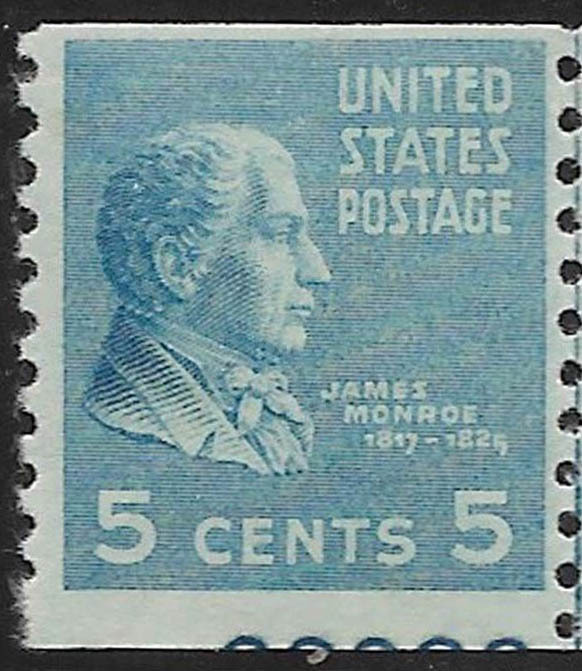 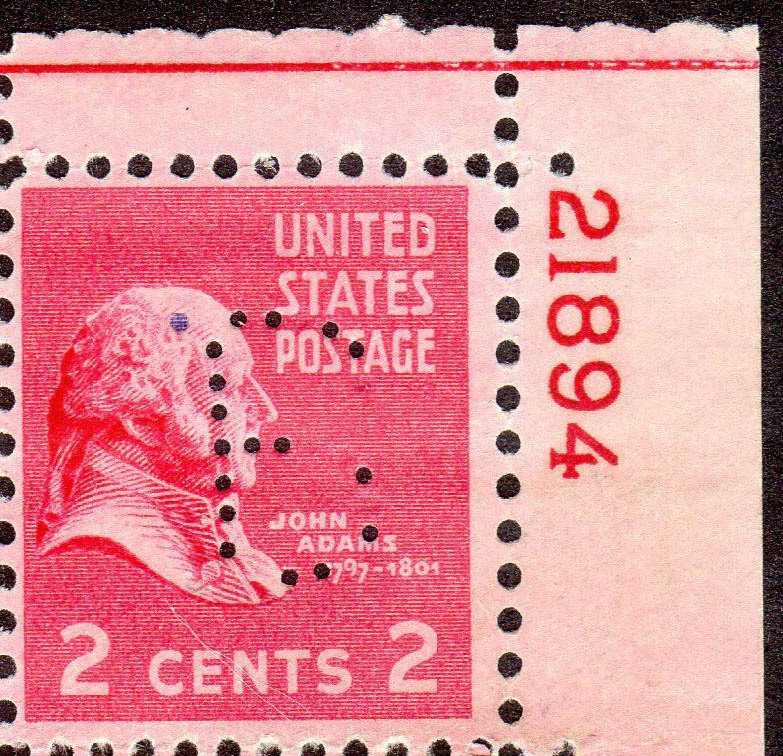 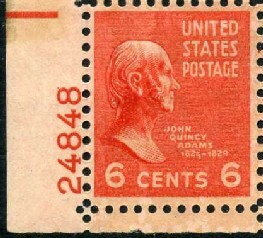 Only about a dozen plate blocks are known with the red brown and black color variation. 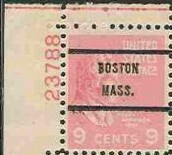 This page last updated March 13, 2019.